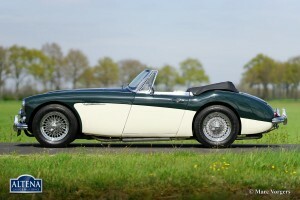 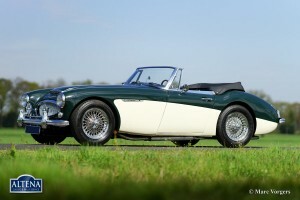 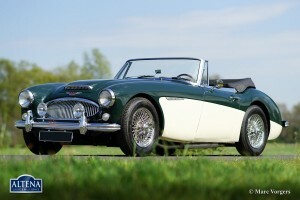 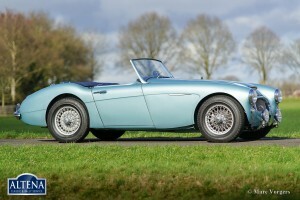 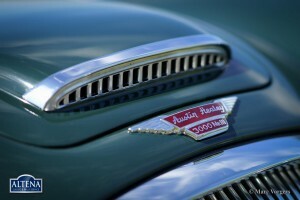 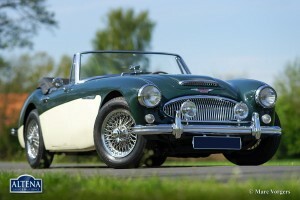 Austin Healey 3000 Mk III phase 1, year 1964. Colour dark green with a cream white top, black leather interior trimmed with white piping. Brown mohair soft top, black hood cover. 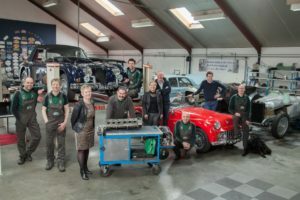 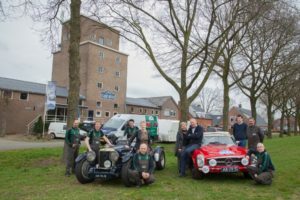 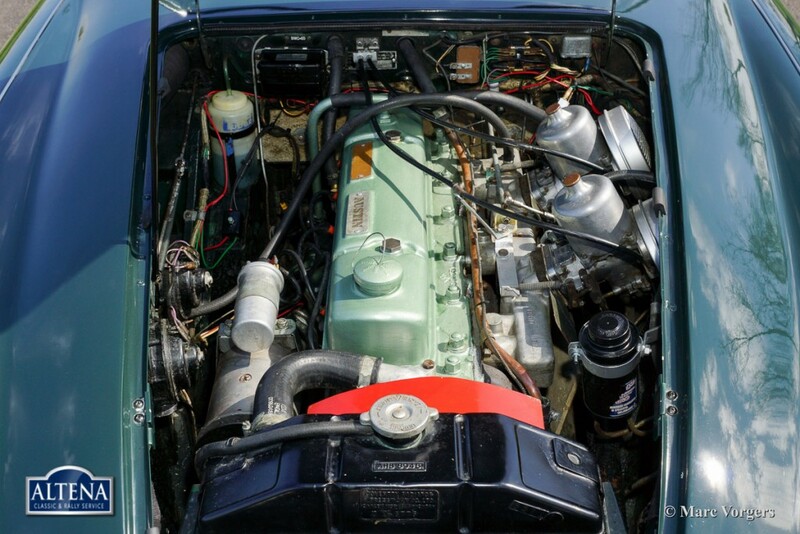 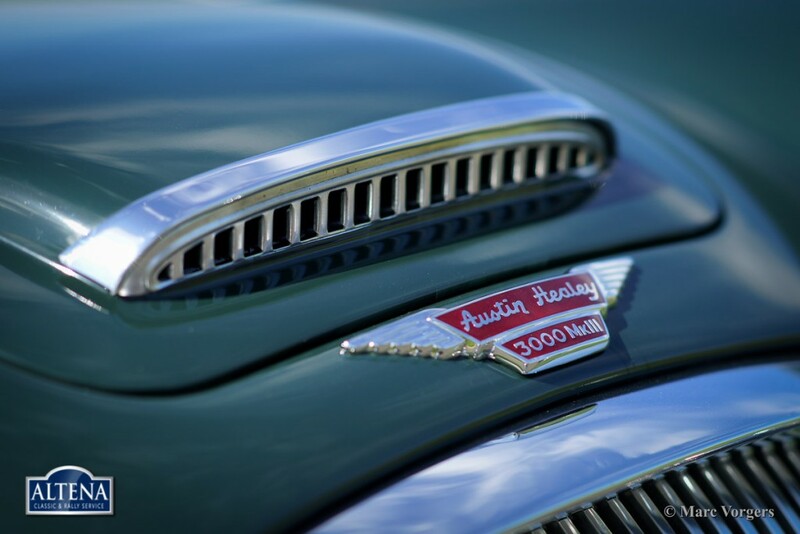 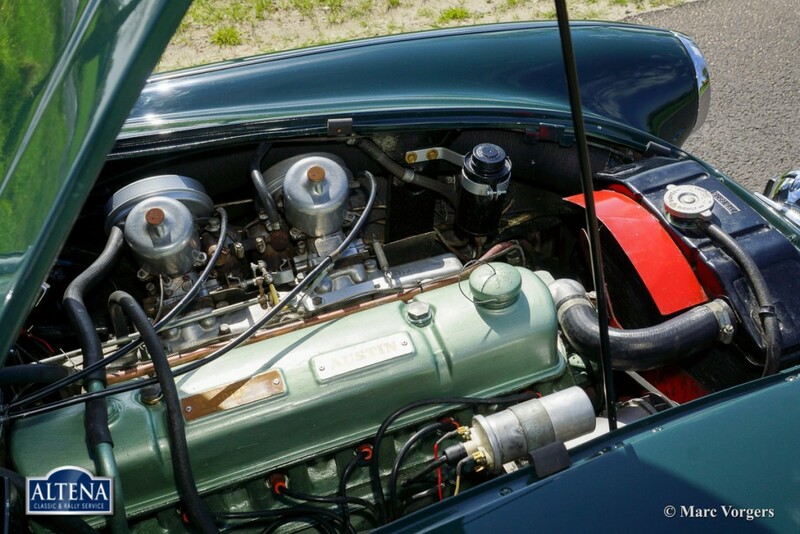 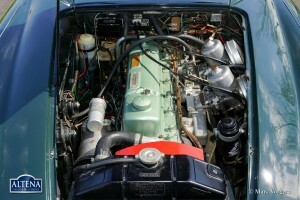 This awesome ‘Big Healey’ was extensively restored in recent years, the car is in excellent to superb condition! 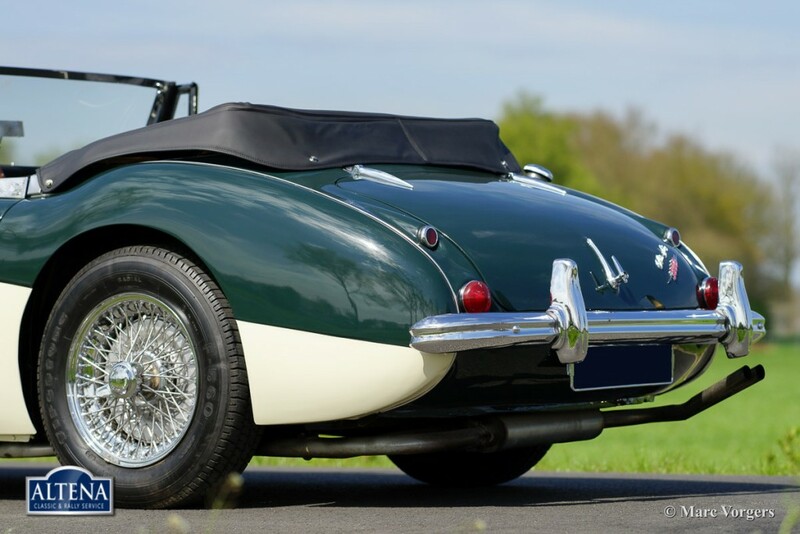 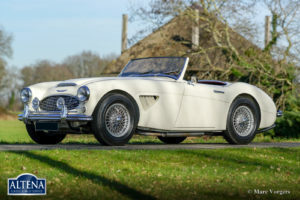 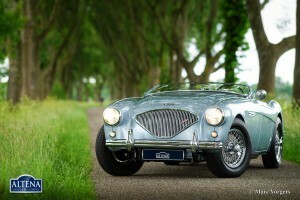 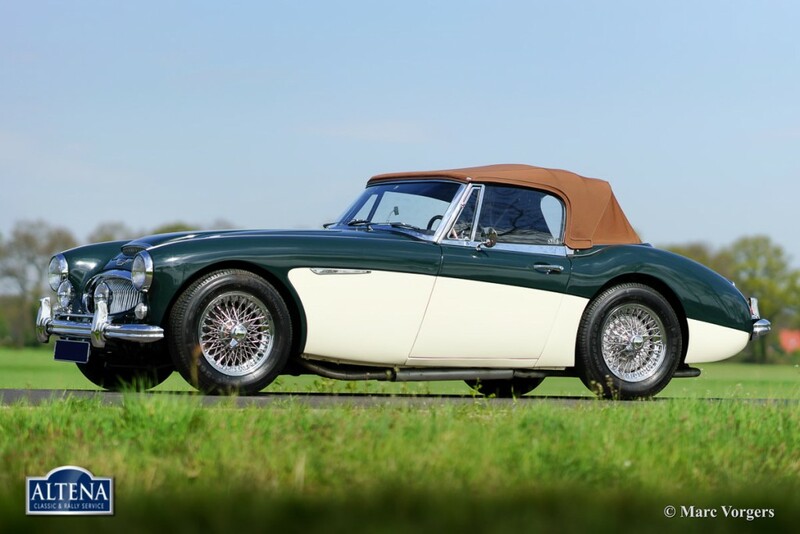 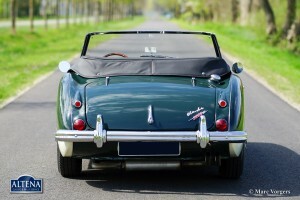 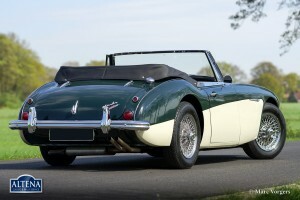 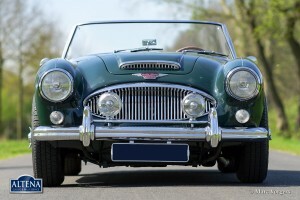 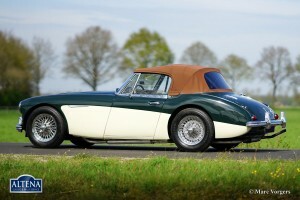 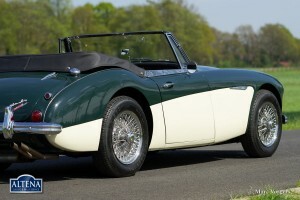 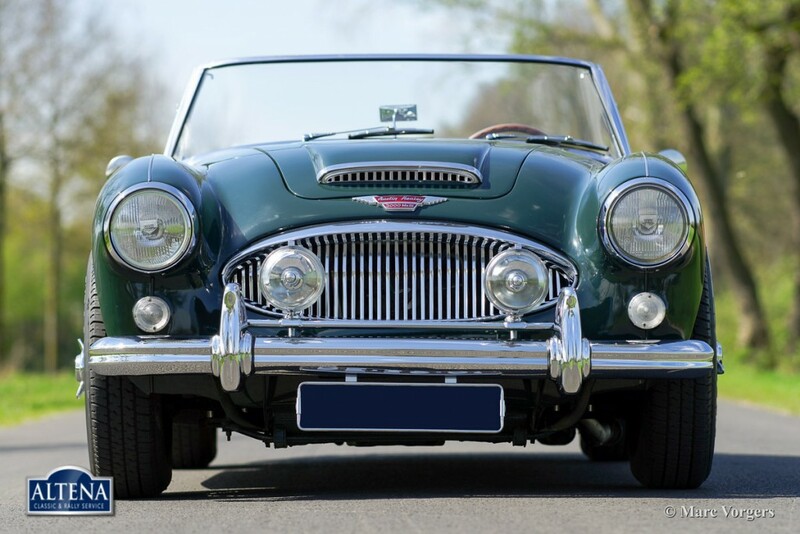 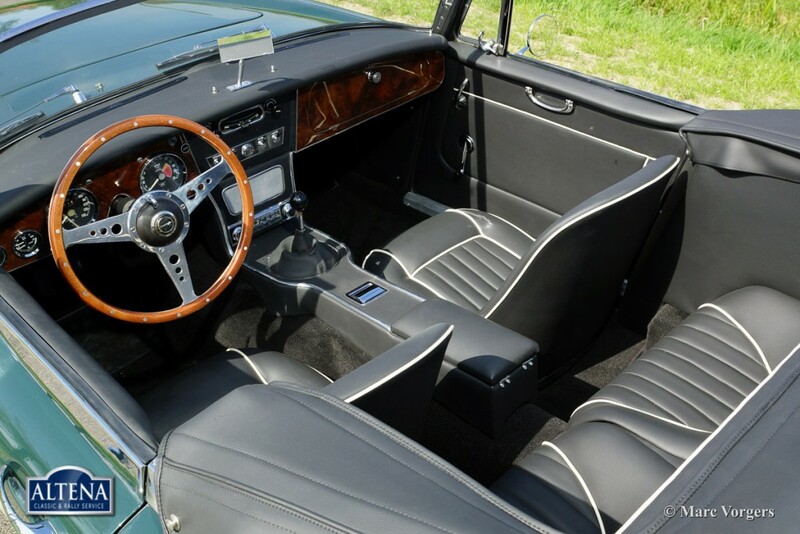 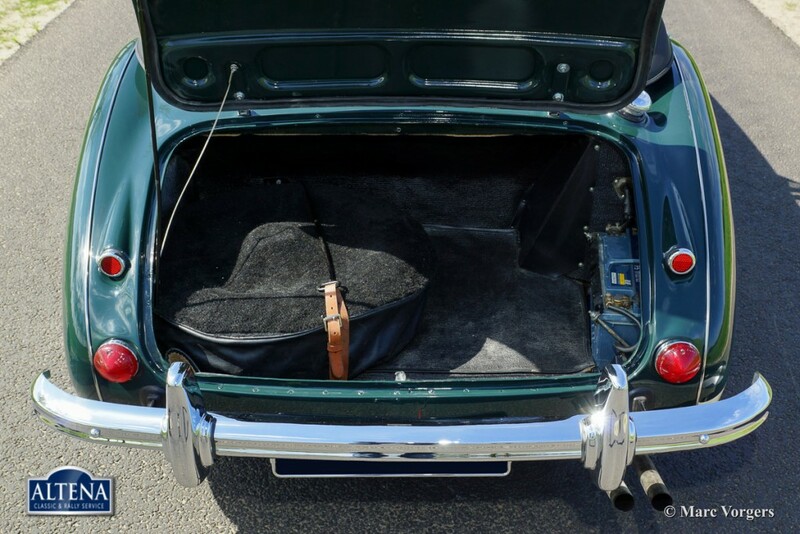 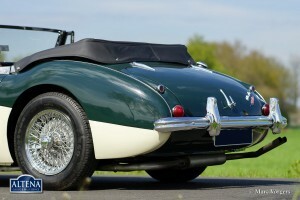 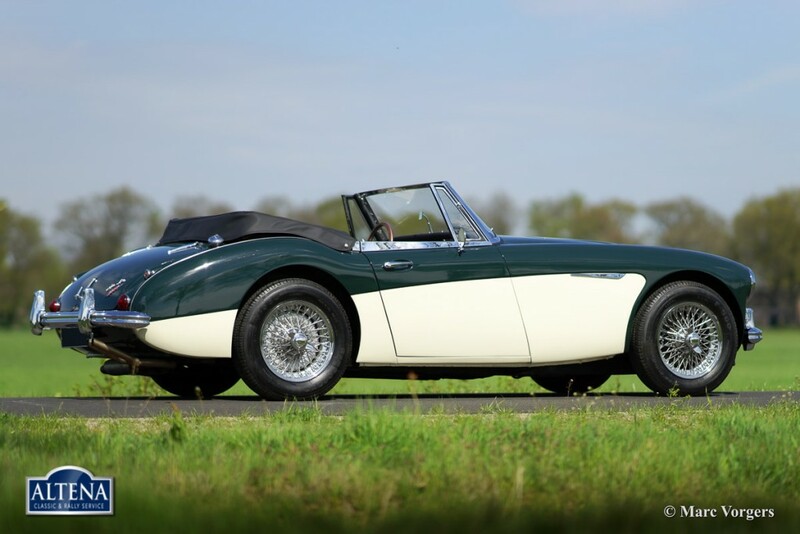 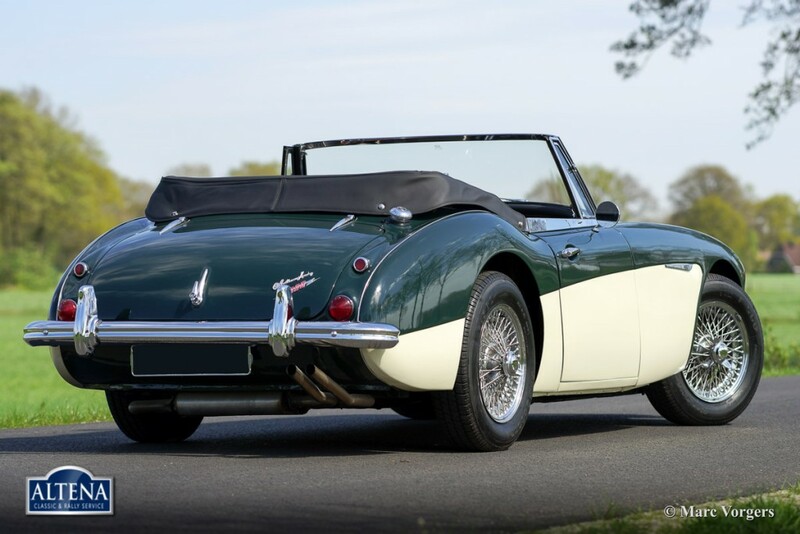 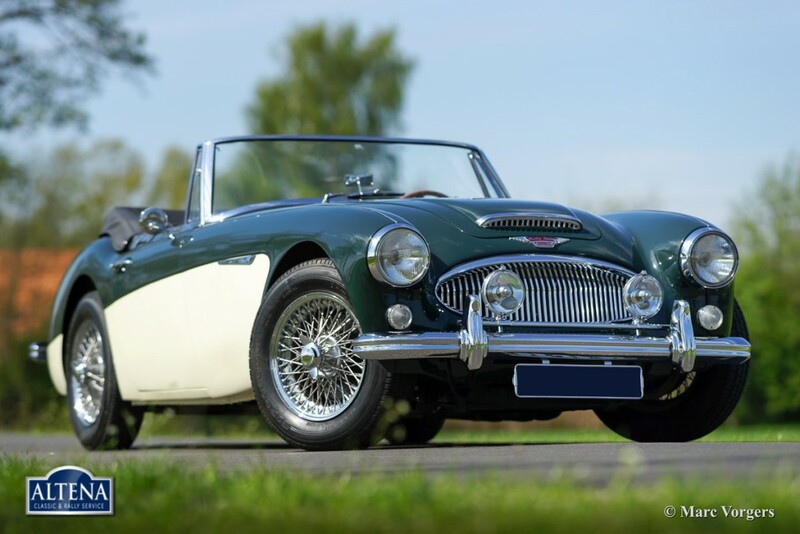 This Healey Mk III is the “convertible” type with a soft top wich is easy to fold down! 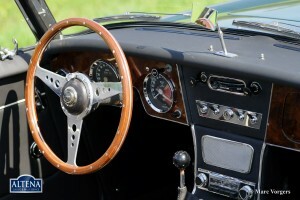 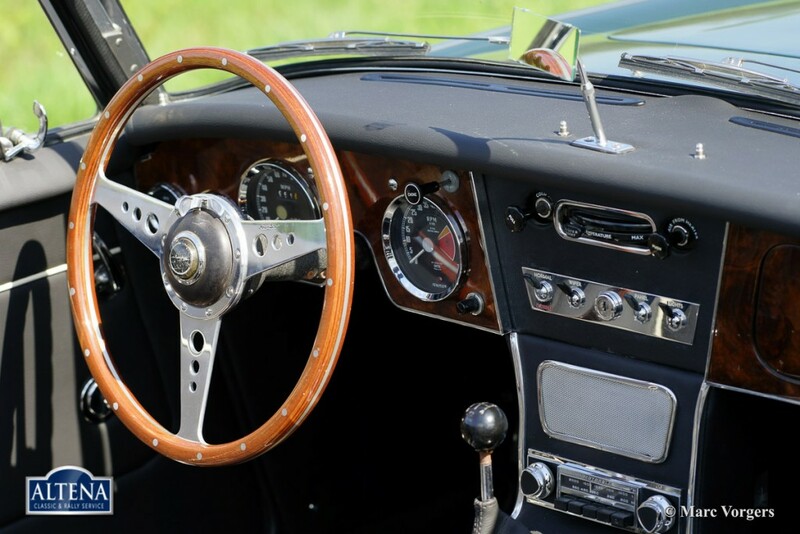 The car is fitted with chrome wire wheels, overdrive, Moto Lita steering wheel with wooden rim, aluminum valve cover and a stainless steel exhaust.